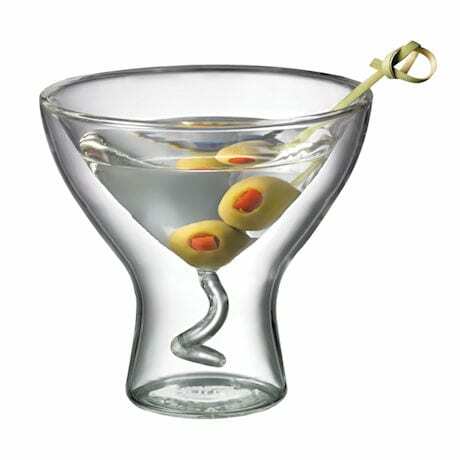 When you craft your masterful martinis, ensure they stay deliciously icy throughout the evening with the Starfrit® Double Wall Martini Glass. The double walled structure creates an air pocket between our glass's interior and exterior preventing heat exchange, so beverages stay colder longer. Hand-blown glass design delivers a striking appearance that will compliment any cocktail set, yet also eliminates condensation to protect your bar top. Nearly unbreakable borosilicate glass! Dishwasher safe. 7oz. Set of 2.